Can one song change the course of a life? Brothers Jimmy and Jack Sullivan live a nomadic life doing what they love: touring with their band, The Unknown Souls. But Jack’s recent engagement to Kara has everyone looking forward to a Christmas destination wedding in Ireland. Unlike his brother, Jimmy has trouble trusting and never expected to fall in love. But he feels a sense of peace and happiness whenever he’s around Kara’s best friend, Charlotte—which has him wondering what he’s missing out on. Over Thanksgiving, Jimmy and Charlotte write a song while sitting together on the back porch. 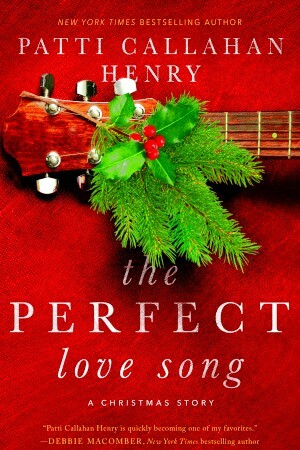 When the band sings it at a Christmas concert the next night, Jimmy insists it’s the perfect love song—but their manager is adamant that it’s the perfect Christmas song. Before Jimmy knows what’s happening, he’s on tour with the hottest country band around and suddenly everyone knows his name. But fame isn’t all it’s cracked up to be, and Jimmy finds himself far away from those he loves—especially Charlotte. Only a Christmas miracle—or two—will be able to lead Jimmy back to Ireland, to his brother, and to love.